OMK was formed in 1965 by Rodney Kinsman RDI. 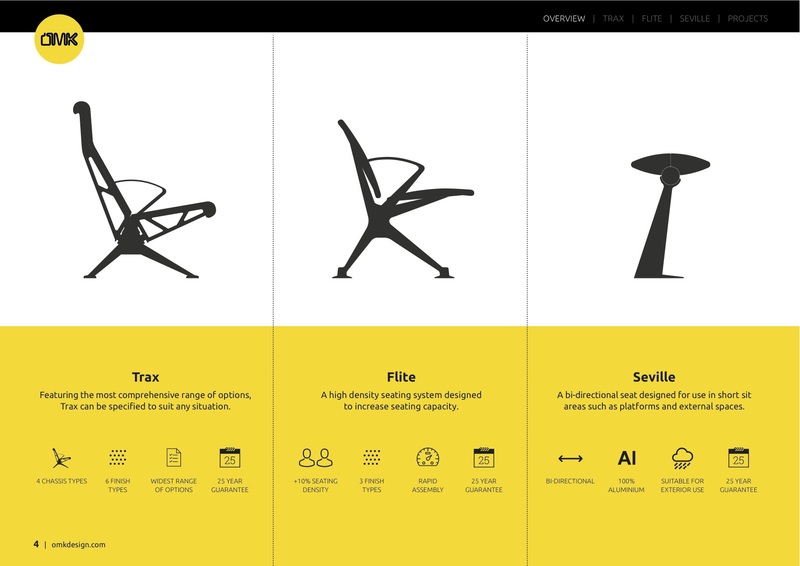 Working with the world’s leading architects, operators and specifiers their experienced design team have developed a focused range of seating systems to enhance public spaces. In addition to their headquarters in London, OMK have a global network of carefully selected partners with the experience to assist through every stage of your project.